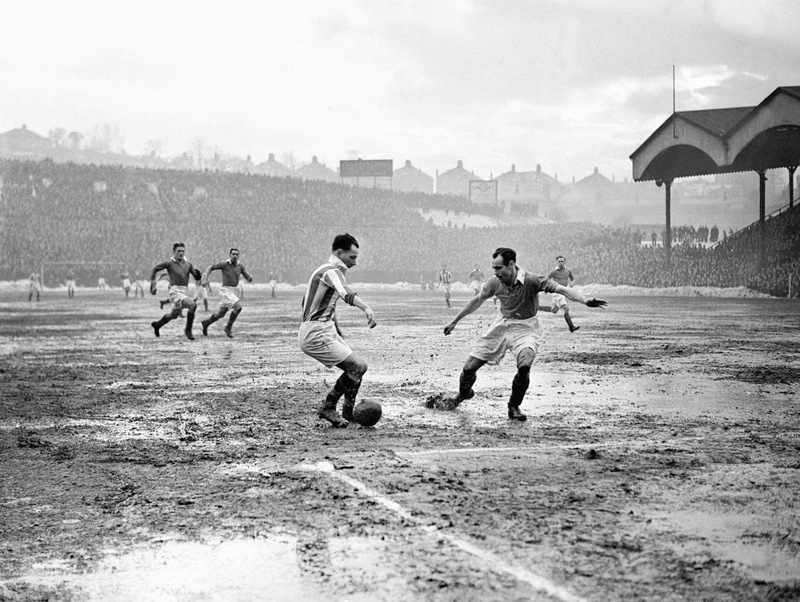 Huddersfield Town’s Alf Whittingham (left) takes on Charlton Athletic’s Jock Campbell at a muddy Valley Stadium, during a Division One fixture in March 1947. Back in the day, the Valley was one of the biggest stadia in Britain, with a capacity of more than 70,000 (!! ), thanks mainly to its huge East stand.